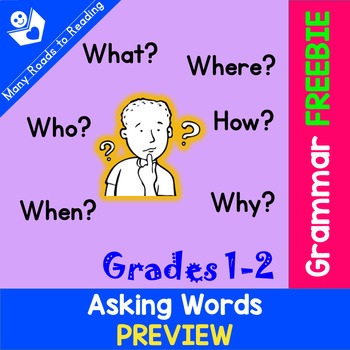 Welcome to Asking Words FREEBIE! 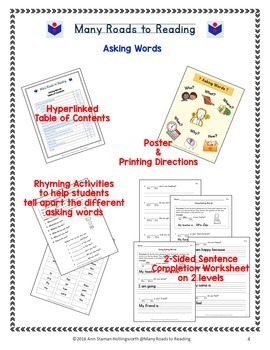 Do your students find the asking words confusing? Mine do! 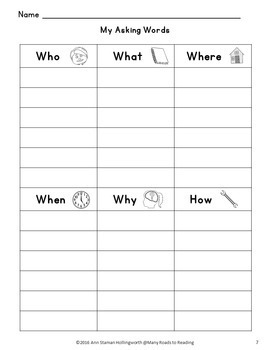 The activities in his resource will help you teach the asking words who, what, where, when, why, and how to your students. 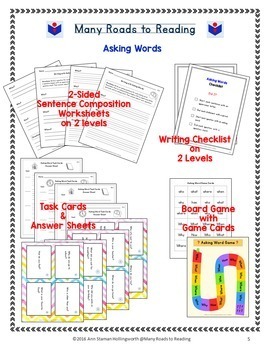 The kit includes Asking Word Cards and My Asking Words. Thanks for checking out my freebie! Be the first to learn about my new freebies, discounts, and products! To become a Follower, click on the green star next to my store logo at Many Roads to Reading. Contact me! : I welcome you to leave a message or question for me at my TpT store Many Roads to Reading, or by email.